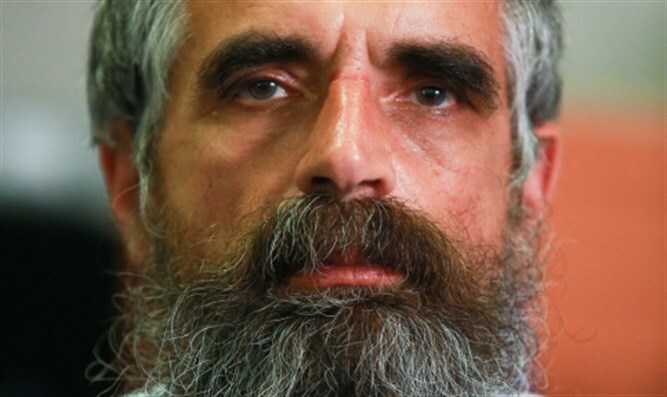 Rabbi Yuval Cherlow, head of Ethics field at Tzohar Rabbinical Organization, speaks with Arutz Sheva about terrorist hunger strike. The hunger strike now being held by jailed terrorists comes with various ramifications, starting with the expected rioting on Palestinian streets and possibly beyond, and extending to the question of the Israeli government’s ability to stand up to this sort of struggle. Among other things, a hunger strike like this leads to the question of force-feeding, an ethical question about which Judaism also has a say. In an interview with Arutz Sheva, Rabbi Yuval Cherlow, the head of the Ethics field in the Tzohar Rabbinical Organization, related to the question. Rabbi Cherlow first proposed to “change the terminology, because the phrase ‘force-feeding’ channels the discussion to problems and to distress.” He said that the correct formulation of the issue was whether it is allowed to order the saving of life by coercion, when the man in question has chosen not to eat and to maintain a hunger strike. The significance is that when we’re talking about terrorists holding a hunger strike, and the death of one will lead to increased extremism that will endanger life, the system is obligated to feed him, also by force, but only when we have reached the limit, according to Rabbi Cherlow. Therefore, “today we are still forbidden to force-feed,” as the current hunger strike has only just begun. When asked to what extent his statements are grounded in Jewish texts and halakhic treatises, Rabbi Cherlow said that “the method of hunger strike was not known, therefore halakha does not address it directly, but there are similar situations that deal with the question of an individual’s freedom versus the sanctity of life. That subject is addressed within the context of a sick person close to death, a sick person who refuses to receive medical attention, etc. The earliest source, although it is recent, deals with a sick person who fasts on Yom Kippur even though this poses a danger to his life.” Rabbi Cherlow agreed that the entire issue was one such halakhic issue not dealt with during the years of exile, and therefore new halakhic deliberations are required in light of the Nation of Israel’s return to its Land. Rabbi Cherlow was also asked about the ability of the government to respond to this type of pressure. He said that this issue had already been more or less addressed in the time of King Rehavam, when the elders told him to give in to the demands of the people. The dilemma is that of maintaining fear of the leadership, while at the same time answering the will of the people, and this dilemma essentially exists for all governments. “There can be no halakha on this matter, it is a question of policy,” he said.